To ensure the Healthy Living Campus best serves our community, we will continue to conduct public meetings to allow local residents to learn about the project, provide detailed feedback and interact with BCHD representatives and the project team. Additionally, the public will be able to supply input during the public comment period and public hearing that follow the release of the Draft EIR. As the project moves forward, we will send periodic updates when significant developments occur. 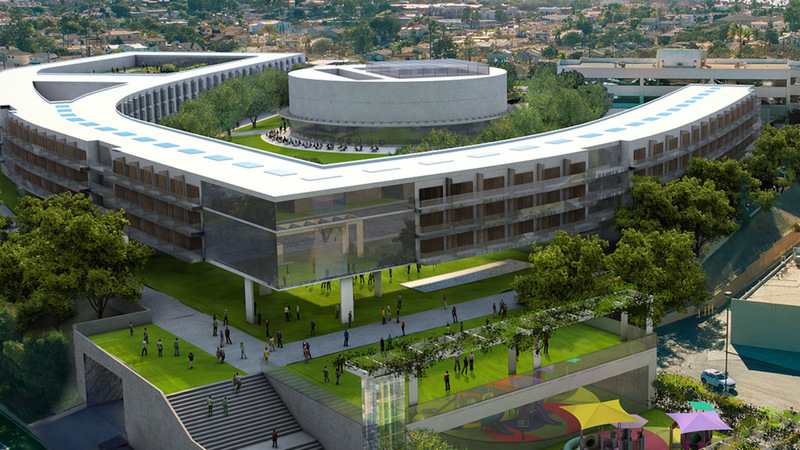 WHAT: Beach Cities Health District will host a community open house to display new conceptual renderings for its Healthy Living Campus master plan. The event will be open to the public and conducted where the proposed campus will be developed. The event will also include a walking tour of the site, AdventurePlex inflatable bounce house, garden demos, massages, food tastings and more. 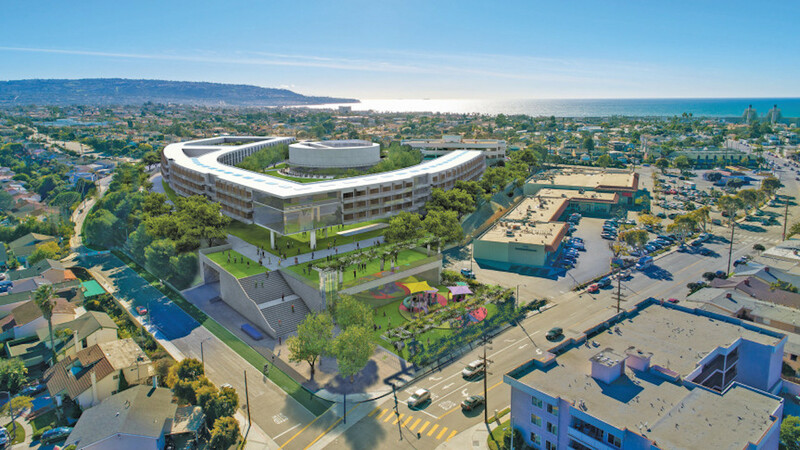 BACKGROUND:Since 2017, Beach Cities Health District has been working with the community to reimagine our aging campus to better reflect our mission and meet the current health needs of Hermosa, Manhattan and Redondo Beach residents. When the 15-year master plan is completed, the intergenerational Healthy Living Campus – designed for all ages – will include a Community Wellness Pavilion with health and wellness services, meetings/conferences, a demonstration kitchen, rooftop space for exercise classes, approximately 420 Residential Care For the Elderly units, an upgraded child development center and Center for Health & Fitness, more than four acres of active green space and walking and bike paths. 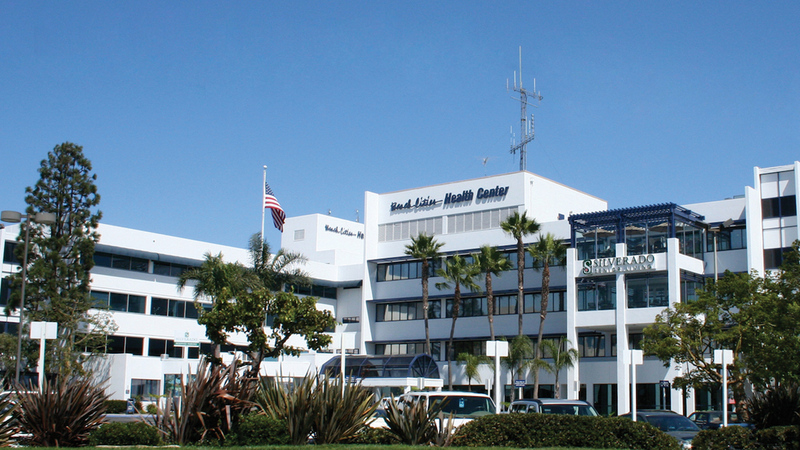 South Bay Hospital opened in 1960 with 146 patient beds to help fill a gap in the Beach Cities, creating a central hub for acute and emergency medical care. The hospital expanded and contracted over the years, adding wings and beds before eventually cutting jobs and emergency services in the ’90s, transforming from an acute-care hospital district into the preventative care-focused Beach Cities Health District. Now BCHD is seeking another transformation, by revitalizing its aging buildings at 510 and 514 N. Prospect Ave. in Redondo into a complex that they call the “Healthy Living Campus,” a plan that almost completely re-envisions the 11 acre site as a central hub for community health, including residential care for the elderly alongside the health district’s gym, child care and community education centers. A master plan released at last month’s BCHD Board of Directors meeting shows plans to replace two major buildings, the hospital’s central plant and a parking structure with 608,339 total square feet of development. That plan including 420 residential care units for the elderly, a Child Development Center, a brand-new Center for Health and Fitness and acres of green open space. The crown jewel of the development is the project’s Community Wellness Pavilion, a space viewed by district staff as a hub for community presentations, cooking demonstrations, meeting spaces, and a visitor/education center. The open green space has designed as an active area, used for farmers markets, community events, and a free fitness space for events such as the Health District’s popular Zumba in the Park. The evolution of the site indicates a pivot for the Health District, which has recently found difficulty in retaining tenants and leasing medical office space on its medical campus. Medical office space on the site would be drastically reduced, while residential facilities for the elderly — which have a home on the site in Silverado Memory Care — would be expanded. The project represents an approximate increase of 286,000 square feet in new development over the existing 11-acre campus. However, a traffic study commissioned by the Health District indicates that, though development on the site would nearly double, the campus would generate fewer daily, morning and evening peak hour trips than the existing site thanks to the severe reduction in medical office space. BCHD identified a need for housing after looking at demographic trends in the Beach Cities. Redondo, Hermosa, and Manhattan have some of the highest concentrations of Baby Boomers out of all cities in Los Angeles County, and population estimates figure that the median age will continue to climb. Providing housing, therefore, fits within the District’s mission to help residents age within their communities. A 2016 study commissioned by the District further indicates that the region can support a net 400 additional senior residential units. Counting the existing 60 units run by Silverado, the new project would net 360 new senior units. But the backlash against the development has been felt by many of its supporters — even one who often falls against new development plans. A labeled chart of uses for the Beach Cities Health District Master Plan. Image courtesy BCHD. Development activist Jim Light was brought in by BCHD to sit on its Community Working Group, and has continually been impressed by the changes made to the campus, including a push to swap surface parking for parking under the project. Light also praised the architectural design, by Paul Murdoch Architects and Withee Malcolm Architects. He admits that he’s not fond of building 420 residential units, but notes that residential care facilities for the elderly generate fewer trips than medical office space. The financials of the project — how much it will cost, and how the project will be phased — are planned for discussion at the Health District’s next Board of Directors meeting, Feb. 27. The likely cost of residences on the property is even further away. “We haven’t been through environmental impact reports…but we want to make sure the community is OK with the philosophical shift in our evolution,” Bakaly said. The proposed Healthy Living Campus project coming to Redondo Beach hit a milestone Wednesday night. After postponing the project for almost a year, the Beach Cities Health District unveiled a revised master plan for its 11-acre campus. BCHD pressed pause on getting city approval and instead, listened to consultants and the community to make revisions. The new plan will also include a modernized center for health and fitness, 420 residential care units for seniors, a community presentation hall as well as flexible meeting spaces, a demonstration kitchen, rooftop gathering spaces and a Blue Zones cafe.